Seamless Outlook PST Conversion to Zimbra TGZ with 100% accouracy. Outlook PST to Zimbra Converter Software allows user to extract emails from Outlook PST file (Both ANSI & UNICODE) and convert them into Zimbra with emails and attachments. It solves query related to "How to import PST to Zimbra TGZ" by providing easy steps of conversion. Preview Outlook Mailbox Items- Software quickly scans outlook PST file and provide preview of every outlook emails, contacts, calendars etc. No Outlook Installation Required- For Outlook to Zimbra Conversion there no need to install MS Outlook Application. Software reads PST file independently and process PST to TGZ Conversion. Convert 15 Items with DEMO Software- PST to Zimbra Converter Software permit users to restore 15 emails per outlook folders under demo. 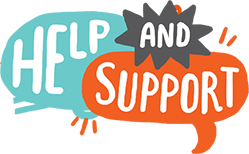 Software supports both ANSI and UNICODE PST Conversion to Zimbra TGZ file. Maintains Folders Structure & Formatting- While Outlook PST to Zimbra Export, Software completely preserves the original PST folders hierarchy under Zimbra TGZ file. PST to Zimbra Converter is a tool that provides easy process or technique to convert PST emails to Zimbra. It is solution for PST to Zimbra conversion and also for using it there no need to have MS Outlook Installation on machine. Software export PST to Zimbra included emails, contacts, deleted folders items and appointments etc. Outlook to Zimbra Converter Software has well technique capability to Completely convert PST to Zimbra included attachments items. Software will export PST emails, contacts, calendars, task, notes and appointments to Zimbra. Not required to convert complete items of PST to Zimbra if you don’t want because with selective conversion facility of the software the you are capable to select the outlook mailboxes, folders by check or un-check to convert into Zimbra. Export PST to Zimbra Software supports to convert emails from damaged, corrupted, healthy or encrypted password protected PST file into Zimbra with each emails Properties along with maintains folders, sub-folders hierarchy or emails formatting. Generating preview of PST to Zimbra conversion is the good feature of software, because by this option users can get the hint about their conversion process and can read the emails content and attachments before getting accurate results. Software doesn’t lose any details from PST file while conversion or never make any changes in outlook file data. PST to Zimbra Converter Software capable to keep integrity of folders, sub-folders hierarchy or emails formatting. To Convert PST emails to Zimbra there you not need to install MS Outlook Installation on your machine because the software capable to produce PST to Zimbra conversion without outlook or with outlook and it supports all outlook versions upto 2016. 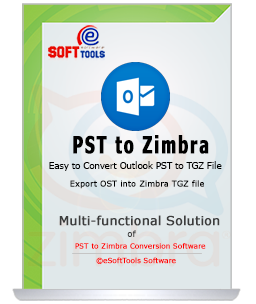 Outlook PST to Zimbra export software easy to handle both types of PST files (ANSI & UNICODE) conversion. Software supports all Outlook PST file versions such as- 2016/2013/2010/2007/2003/2000 and below version. Now users has the complete rights to export unlimited size of Outlook PST file to Zimbra TGZ file without any losses of data. Software fully takes care of every email meta data and immbedded images during PST to Zimbra Export. Download Outlook PST to Zimbra TGZ Converter & Try it..
Demo Restrictions - The demo version is only for evaluation purpose and users can freely convert 15 items from every folder of Outlook PST to Zimbra TGZ file. Verifies to load selected PST file and start to convert pst to tgz. Software Ready to Export PST to Zimbra TGZ File. Can I Convert 2016 outlook PST file emails into Zimbra by Software? Yes, the PST to Zimbra Converter Software very easily supports all MS Outlook file versions included- 2016/2013/2010 and below versions to convert PST emails to Zimbra. How Can I get the idea about my conversion items of PST to Zimbra? For providing idea about conversion process, we have provided the Software preview facility by which you will watch software conversion functionality. Apart from saving complete items, is there any facility to convert only significant outlook folders to Zimbra? Yes, Outlook to Zimbra Converter Software allows users to convert complete or selective folders or items from outlook PST to Zimbra. Do in need to Install MS Outlook application to Export PST to Zimbra? No, there outlook installation is not necessary, without outlook you can convert PST emails to Zimbra. Will Software supports UNICODE PST file to convert data into Zimbra? Yes, PST to Zimbra Converter Software capable to supports both ANSI or UNICODE PST file to convert data into Zimbra. Zimbra Desktop is required to view the converted Zimbra .tgz file. Outlook PST to Zimbra Converter Software took only few seconds to solve my problem related to how to import PST to Zimbra? It provided very easy steps through I could convert PST to Zimbra and I had no outlook application on my machine but I worked good in conversion………. Thanks a lot!!! !